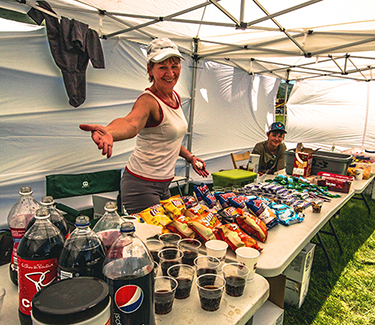 The Sinister 7 Ultra is nothing without the help of volunteers. Whether you want a remote Checkpoint or a Transition Area where you can drive in and camp with the family, we have a job for you! We attract a lot of fun volunteers and this is also a great opportunity to meet new people. All volunteers get a race T-shirt, a meal with the racers at the awards ceremony, draw prize opportunities and more. Most importantly, you get to experience a fantastic event and cheer racers on as they push themselves to the limit. If you have questions, do not hesitate to contact us: . High clearance vehicles or walk in (300m) only! Walk or ATV in (1.5km) only! Minimum Standard 1st Aid Required - must be verified. You may select overlapping shifts.